Bank Alfalah Limited (BAFL), Pakistan’s 6th largest bank and Warid Telecom, both owned and operated by the Abu Dhabi Group have joined hands for their upcoming branchless banking services in Pakistan. The technological support for this collaboration is being provided by Monet and the pilot testing launch is currently underway as approved by the State Bank of Pakistan. The two companies have been working extensively to develop a branchless ecosystem which will offer a range of customized products and services tailored to suit the evolving needs of various stakeholders including consumers, institutions, SMEs and the government. ‘We are pleased that both companies have been working in conjunction to successfully execute our shared outlook on introducing our branchless banking services. Once launched in the market, we are optimistic that both telecom and banking customers will benefit hugely from the enhanced access and convenience provided by this innovative offering. We will continue to explore joint efforts in order to provide innovative, technology driven value-additional propositions that increase access to financial services and hence reduce the gap between the ‘banked’ and ‘yet-to-be-banked’ in Pakistan,’ said Atif Bajwa, CEO Bank Alfalah. As we enter 2013, Bank Alfalah continues to operate through a network of 471 branches across 163 cities in Pakistan in order to provide consumers, corporations, institutions and governments with a broad spectrum of financial products and services, including corporate and investment banking, consumer banking and credit, securities brokerage, commercial, agricultural, Islamic and asset financing. As an organization entering its 8th year of operations, Warid Telecom prides itself on being contemporary, approachable and constantly innovating. With achievements ranging from having one of the largest post-paid bases, most loved youth and prepaid brands, international roaming and nationwide coverage at over 7,000 destinations in Pakistan, Warid Telecom's selection of value added services makes communication effective and enjoyable. The Punjab Information Technology Board (PITB) has launched its Data Centre and Cloud Computing Services for public and private sector, the launching ceremony was held at the Sheraton Hotel, Karachi. This marks the establishment of the Government’s first Public cloud by PITB. The PITB will offer all required services of a Tier-III (Intl. Standard) compliant Data Centre and cloud computing to host applications and services of public and private sector at the Arfa Software Technology Park Data Centre. The cloud computing services project, which is named “Cloud for Everyone”, offers customized and on demand packages of VPS Hosting, Hosted Exchange, Sharepoint and Website Hosting. These services have the capability to cater hosting and IT needs of well established businesses as well as start-ups at an affordable price range. 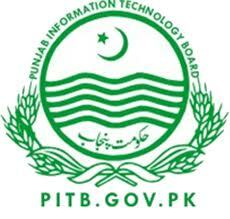 PITB Public cloud and Data Center services will help business to have a secure and reliable IT infrastructure. Dr. Jawaid A. Ghani former Chairman PITB graced the event and appreciated the efforts made by PITB towards the development of IT industry in Pakistan. He commented that such initiatives will bring a culture of innovation in Pakistan for economic prosperity and will help SMEs to bring their business to new technological heights. During the event, Project Director, Mr. Sajjad Ghani presented a detailed description to the attendees regarding the technological features, services and benefits of cloud computing. PITB has taken this step in order to provide world class IT facilities to small and large businesses and public institutions. They can opt for data centre facilities to manage their IT operations as part of streamlining and running their businesses efficiently.